Thanks to injuries early in the year and attrition in the form of NFL draft picks, defense appeared to be a concern for an Alabama team that suddenly boasted the country’s best offense. But the Crimson Tide has dispelled those worries as the season has worn on, no more emphatically than in the team’s dominant 29-0 win against No. 7 LSU last Saturday. With breakout defensive lineman Quinnen Williams anchoring Alabama’s front, the Crimson Tide has begun living up to its usual standards on defense. 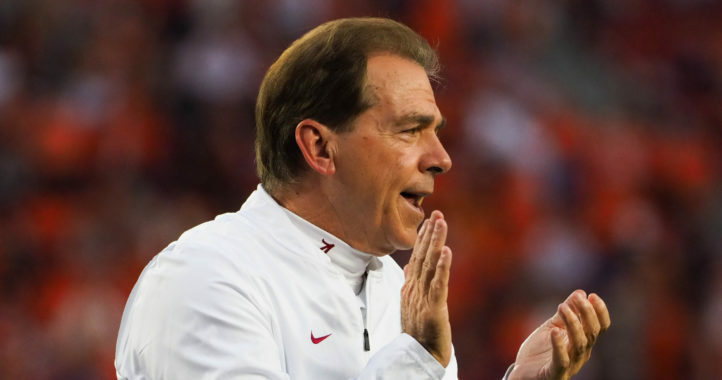 During Wednesday’s SEC Coaches Teleconference, Nick Saban discussed what has made his defense take drastic steps forward over the last few weeks. He also previewed the upcoming game between No. 1 Alabama (9-0, 6-0 SEC) and No. 16 Mississippi State (6-3, 2-3) at 3:30 p.m. ET on Saturday in Tuscaloosa. You can read Saban’s full responses to teleconference questions below. Henry Ruggs was in practice all week. Jalen Hurts did some things in practice yesterday, DeVonta Smith did some things in practice. Can you explain the difference in the defense lately? As these players get more experience, they get more secure, more confident in what they are supposed to do. When a guy makes a call, I get the call and that’s been better for us. Do you still feel the league is drastically different week to week for what you have to prepare for? I think as a whole, college football is still the same. We lost some guys that were our edge guys that could be used in many different ways. 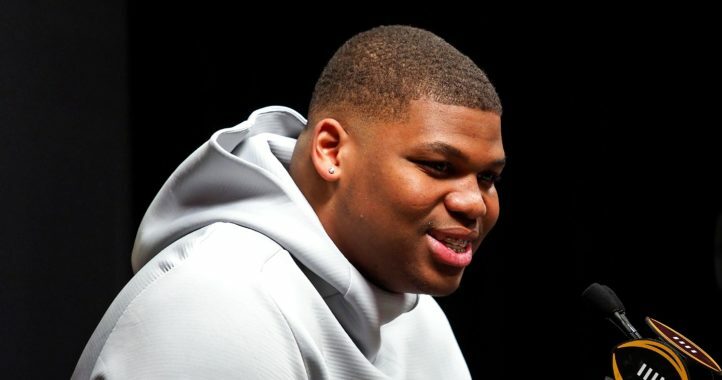 On Quinnen Williams and his body type, how special is he? He is a really all-around player, very athletic. Maybe not as big size-wise but he has power, doesn’t get pushed around much. How many games have we had since then? There are some games you always remember, them being No. 1 and us being a .500 team. We got down big and our guys just kept playing. We will never forget that one. How big was that for you? I think it was a big win for the players. Our confidence as a coaching staff, I think it had something to do with us continuing to build up the program there. On switching the bye week, if you could, how would you do that? Not really. The conference does what they do to put the schedule together. … I don’t know it’s an advantage having a bye week before a game. I think it’s about the momentum you have heading into a bye. There are pros and cons with that. I’m fine with the bye we have now; we will play the hand we are dealt. He’s been a valuable player for us. He’s capable of making plays like that. He kept us going after that. It was a great play. He will practice today. He’s doing well. They have done a good job. The center is a good player. The offense is difficult because of the RPOs they have. That’s why they are one of, if not the best, rushing team in the SEC. You can’t do that unless the offensive line is effective. We have always respected him. He played well against us last year. Whether it’s pulling and running or throwing, he’s as effective as anyone in the nation. He has to be one of the best dual-threats in the country. Dual-threat alright. When he runs, he’s a threat to our opponents. When he throws, he’s a threat to us.